my grandparents moved to Palm Springs in 1958 and opened their first of five restaurants, Las Casuelas on N. Palm Canyon. 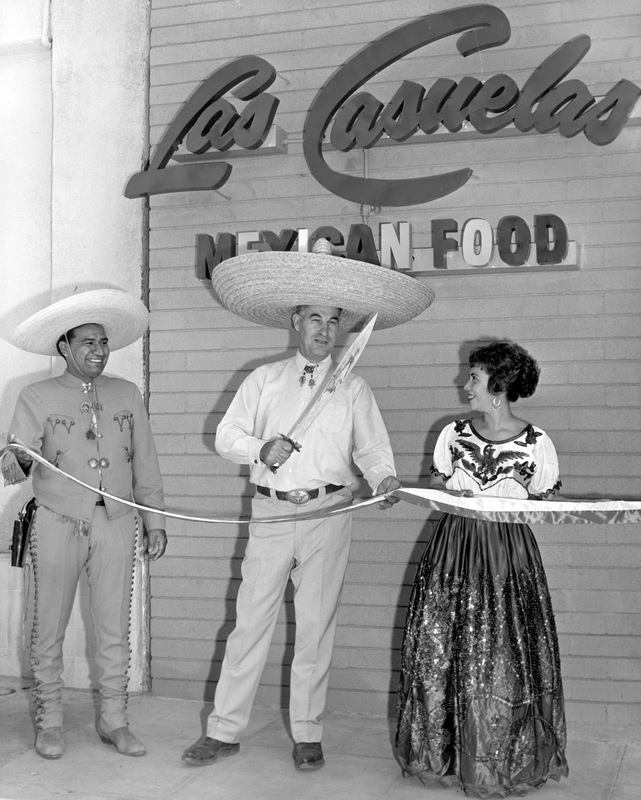 -From the tiny hole-in-the-wall (that is still vintage fabulous) came Las Casuelas Nuevas in Rancho Mirage in 1973, my parent's restaurant - now run by my brother. The restaurant was the first fine dining Mexican food establishment in America. 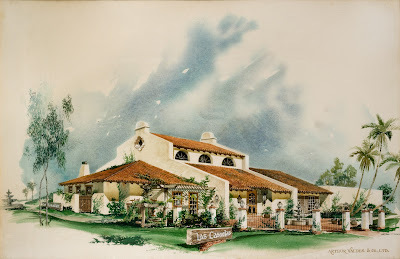 The architecture was innovative and a first for America, creating an illusion of an outdoor hacienda in the main interior dining room with the use of bricks from a mission in Mexico. 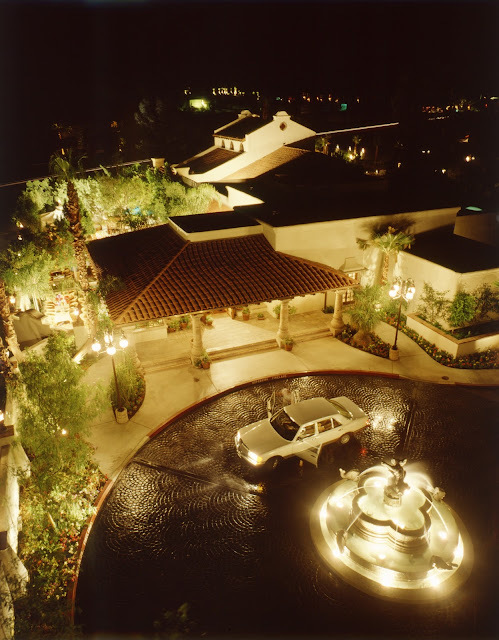 In 1983, the restaurant expanded to have a french colonial style patio, featuring custom cantera fountains and design details imported from Mexico. The trees create a glorious canopy of shade and atmosphere. 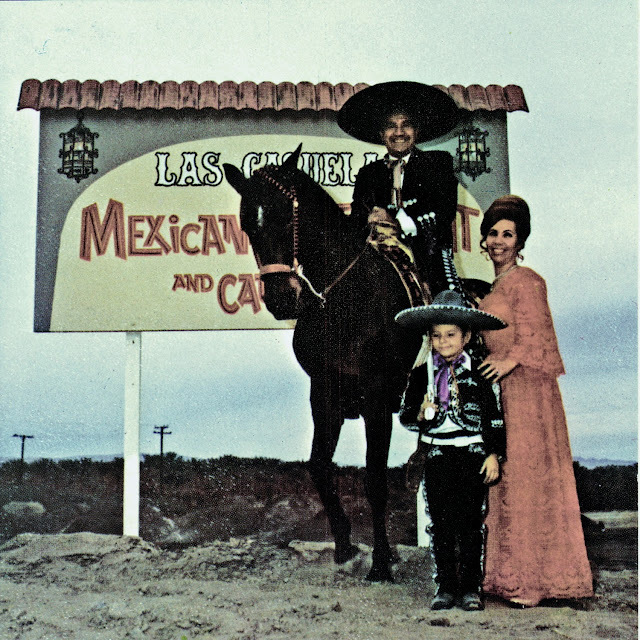 Fabulous ambiance and classic Mexican dishes from recipes my great grandparents, keep the restaurant authentic to our family name. 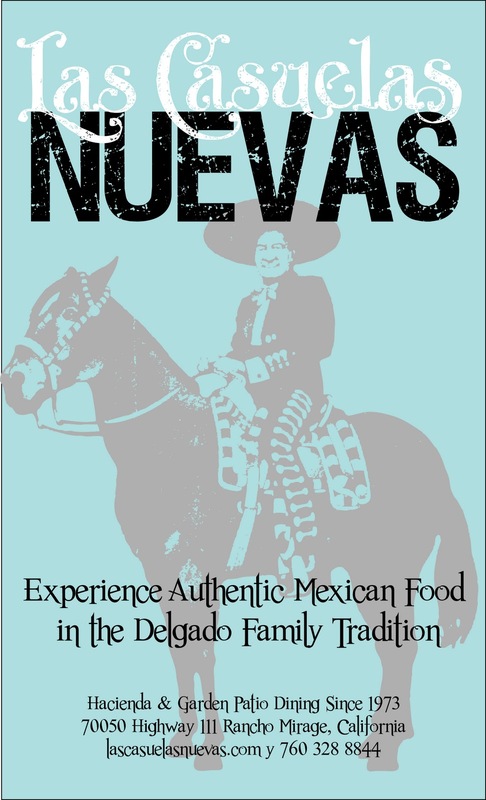 Try the enchiladas in mole, chicken taquitos or the pork tamales + a plata centenario margarita or la valencia margarita. 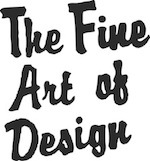 You are currently reading las casuelas restaurants at THE FINE ART OF DESIGN.